But the FOP still thinks there's something shady about the case. 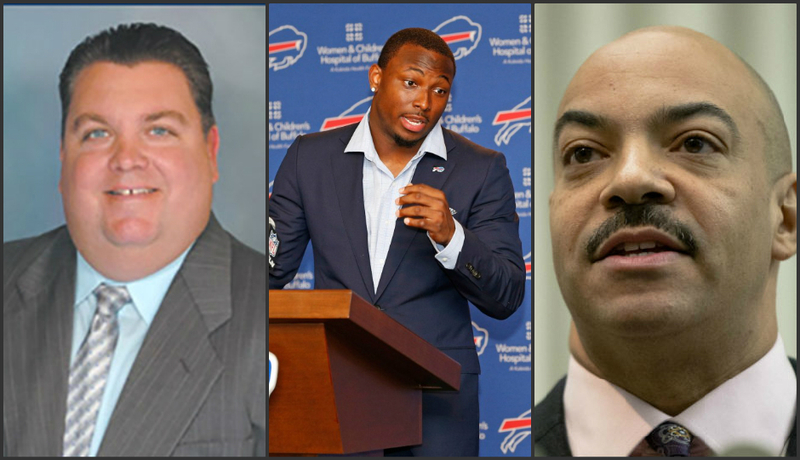 By David Gambacorta·	 4/4/2016, 5:32 p.m.
District Attorney Seth Williams announced today that he won’t press criminal charges against Buffalo Bills running back LeSean McCoy for scuffling with a trio of off-duty cops at an Old City nightclub earlier this year, prompting the Fraternal Order of Police Lodge No. 5 to accuse the D.A. of “going south” on the case. Yeah … there’s a lot to unpack here. With a handful of prosecutors at his side, Williams told reporters during an afternoon news conference that after a lengthy investigation, there simply was “insufficient evidence” to lock up McCoy or any of his pals — former San Diego Chargers running back Curtis Brinkley; former University of Pittsburgh player T.J. Porter; and Christopher Henderson — for the brouhaha that unfolded inside the Recess Lounge in the wee hours on February 7th. McCoy’s group was hanging out at the club’s VIP area. So, too, was a group of off-duty cops: Officers Darnell Jessie and Roland Butler and Sgt. Daniel Ayres. Williams said the three cops ordered three bottles of champagne, and got a fourth for free. McCoy’s group ordered champagne, tequila and Hennessy cognac. 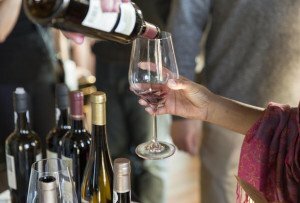 One of the off-duty cops gave a bottle of champagne to a woman who was celebrating her birthday, and one of McCoy’s pals mistakenly thought that bottle belonged to their group, he said. The two men exchanged words. You probably know what happened next. Williams said one of the cops and one of McCoy’s friends ended up on the floor of the nightclub. Things got real ugly, real fast, with McCoy and his pals allegedly unloading a flurry of fists and feet on two of the off-duty officers. According to early police reports, Jessie ended up at Hahnemann University Hospital, where he was treated for a possible skull fracture and received eight stitches over one of his eyes. Butler drove himself to Delaware County Memorial Hospital, where he was treated for a broken nose, broken rib, eye laceration and sprained thumb. But the case wasn’t so cut-and-dry. Williams said the two off-duty cops who were injured told investigators contradictory stories about the brawl. McCoy was the only member of his group to speak with investigators, and he claimed he had only acted in defense of his friends, one of whom was allegedly being choked by one of the cops. Descriptions of the fight itself and who was present at the nightclub that morning were also inconsistent, Williams said. None of the off-duty officers were armed, he said. When police responded to the fight, all of the participants were asked if they wanted to file a complaint or received medical treatment — and declined. All told, Williams said, members of the D.A.’s Office and the Police Department interviewed 27 people, and reviewed medical records, photos, surveillance footage and cell phone videos that popped up online after the incident. But there wasn’t enough evidence to prove that McCoy or his friends had actually committed a crime. The law allows for people to defend themselves against physical force, Williams said. “My job is not to decide if anyone acted appropriately or not. My job is to determine if evidence exists to charge any individual with a crime,” he said. Williams said McCoy’s status as an NFL superstar and former Philadelphia Eagle had no impact on the investigation. But that’s not how the FOP sees it — not by a long shot. The Fraternal Order of Police Lodge No. 5 doesn’t quite agree with the D.A.’s decision on the LeSean McCoy case. “From day one, we were getting word from people in his office that he wanted to go south on this case,” said FOP president John McNesby, who has long called for McCoy to be arrested over the incident. 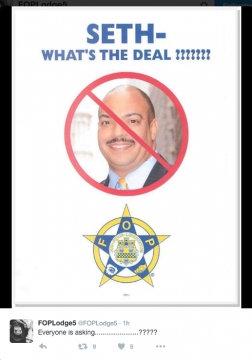 Williams said he explained his decision before today’s press conference to both the FOP and Police Commissioner Richard Ross. He said he was aware of McNesby’s criticism, adding that the union president had a job to do. Deputy District Attorney John Delaney said it’s not uncommon for the D.A.’s Office and the Police Department to disagree over whether charges should be filed against a potential suspect. McCoy’s attorney, Dennis Cogan, said he knew “pretty early on” that McCoy had done nothing wrong. Photographic evidence shows that Porter had been allegedly choked by Butler, Cogan said. McCoy ran over when he saw what was happening, took a swing — and missed, Cogan said. 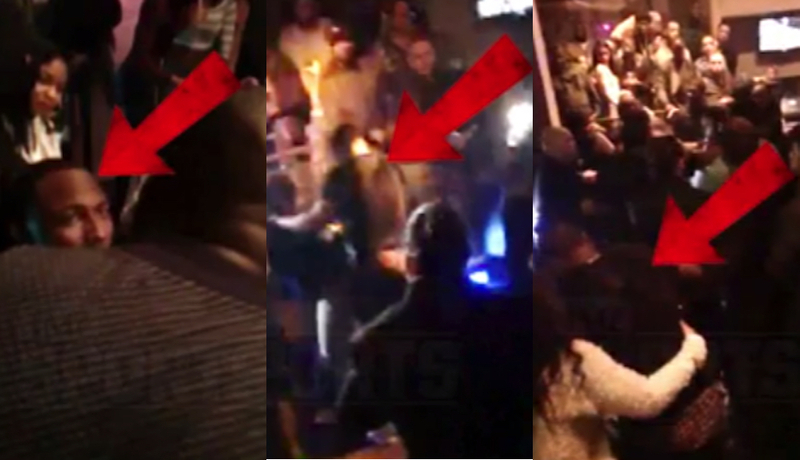 McCoy allowed himself to be pulled away from the brawl by a woman at the club. Bouncers escorted Butler and Porter outside, where Butler continued to act aggressively, he said. Police allowed McCoy to leave. McCoy’s attorney criticized McNesby — and Mayor Jim Kenney — for calling for McCoy to face charges before the investigation was finished. It’s unclear if McCoy will be penalized by the NFL, which launched its own investigation into the incident. So that’s that … right? McNesby said the FOP is exploring “a number of different avenues,” including taking civil action or inquiring if another agency, like the state Attorney General’s Office, would have an interest in re-examining the case.